All of my shoots feature a polaroid element which is in keeping with the vintage look of my shoots. The polaroids often feature within the final photographs and are used as props to help set dress, or capture a different side to my shoots. Polaroid photography for Popular. Inspired by Mean Girls this was my first shoot behind the camera in collaboration with Olive and Frank and Skinnydip London. Female friendships and the dynamic of what it means to be a popular girl. Polaroid photography for Teenagers. Inspired by Heathers this is a look into the dangerous lives of teenage girls in collaboration with bad girl brand Olive and Frank. From the first blush of romance to the last squeeze of the trigger. Polaroid photography for Dollz. Inspired by Bratz Dolls this was my first shoot to promote by new brand Melodrama London. With accessories from my favourite girl power accessories company Skinnydip London. Join in with the girl gang. Polaroid photography for Kisses. Inspired by Clueless this is a dreamy collaboration with Etsy power house TheSugarStopCo and Vintage Licks. A Cher Horowitz Valentines inspired shoot that tastes like love hearts and sherbet kisses..
Polaroid photography for Nancy. 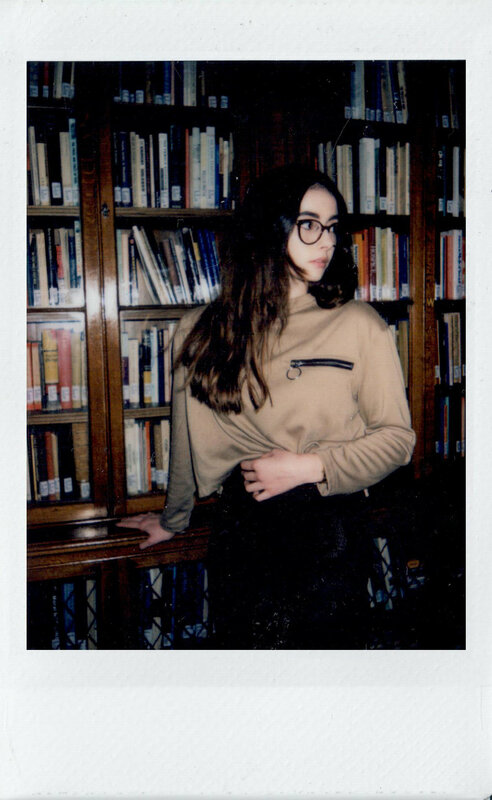 Inspired by Nancy Drew this was a shoot I styled and shot polaroid for in collaboration with Argyle and Oxford. Though I'm a big fan of the film starring Emma Roberts, our Nancy is modern and stylish mystery solver.